Is to help national cooperative movements in developing countries create a legal and regulatory environment that enables cooperative businesses to flourish. CLARITY Initiatives focus on developing a cooperative-led process for cooperative legal reform, including: principles for reform, assessment, analysis and outreach, and ways the principles can be applied. For in-depth information about CLARITY, visit http://www.clarity.coop. The METRICS survey process is designed for use by cooperative boards and managers, apex organizations, agencies and government departments concerned with cooperative development and foreign governments providing aid for co-op development. 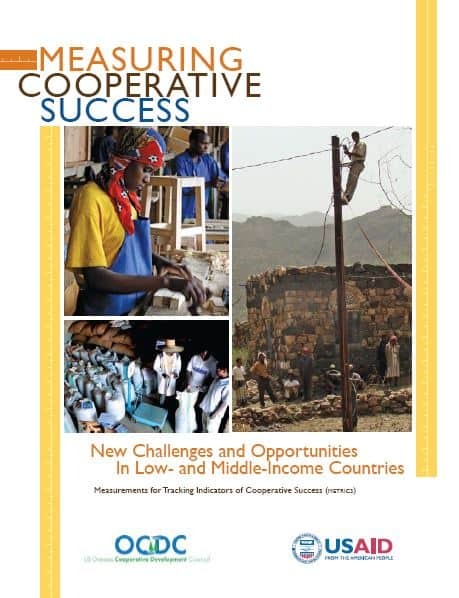 Results are intended to help them assess how cooperatives in low- and middle income countries are performing in regard to the indicators of success. This analysis can pinpoint strengths and weakness and help cooperatives achieve their purposes in lasting and sustainable ways.